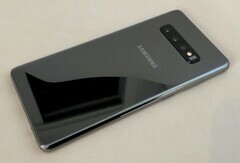 Samsung’s Galaxy S10 range has been receiving plenty of plaudits and has experienced strong sales in certain markets. US customers, however, appear to have lucked out on this occasion as all Galaxy S10 models are shipped there with Qualcomm Snapdragon 855 SoCs only. The rest of the world, however, get Samsung’s home-grown semi-custom Exynos 9820. It’s a great chip, but evidence is mounting that S10 units fitted with this chipset are experiencing some annoying bugs, both of which we have experienced with our Ezynos-based Galaxy S10+. The first is being referred to as a proximity sensor bug. The device turns on when in a user’s pocket or bag despite being locked when placed in there. In our experience, this has caused the screen to become active and songs to stop playing or getting skipped while listening to music. The current workaround for the bug is to turn off the otherwise excellent “Lift to Wake” and “Tap to Wake” functions, which is a blow to daily usability. The issue is also affecting battery life, preventing the phone from entering a deep sleep. The second is causing batteries to drain much more dramatically. When the phone is sitting in idle, users are finding that their devices have been drained as though they have been in use, an issue we too have experienced. However, only some Exynos 9820 users have been experiencing the problem. Users on both XDA and Reddit forums have been able to isolate the problem to the use of just about any VoiP app to make phone calls. In this instance, only shutting off the phone and not using VoiP apps for calls seems to be the best workaround. Let’s hope Samsung gets wind of the issues and acts to squash them in their next update, as it is negatively affecting what is otherwise an excellent device.